It's all about the wearable tech these days, right? The market certainly isn't lacking in fitness trackers, but the folks behind Atlas claim to have a better product. Atlas is packed with sensors to monitor your movements along all three axes. That movement data allows Atlas to actually figure out what exercise you're doing and how well. 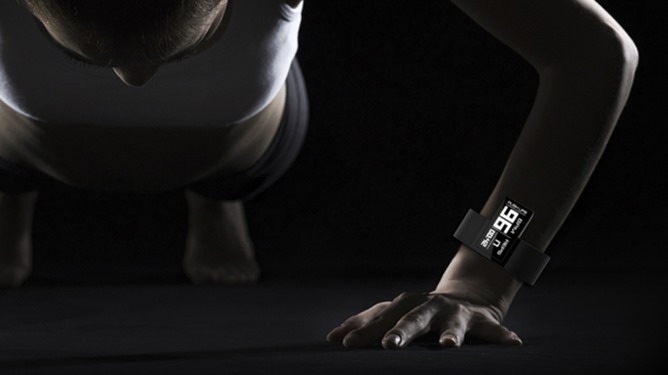 The device itself will have a small monochrome screen that lists data like your heart rate, reps/distance, and time for the current exercise. The design has the Atlas docking into a wristband, but it's just a prototype. So how does it know the difference between a push up and a bench press? Even though many of the same muscles are engaged, there are differences in the subtle motion of your body. By comparing the live data to exercise fingerprints, Atlas claims to be able to instantly know what you're doing. Atlas will plug into an app on Android and iOS to help users dig through all the data the device records. 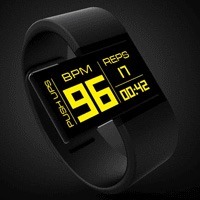 It will also work with established apps like Fitocracy and MapMyFitness. The API will be open so anyone can support Atlas once it is a reality. The creators were seeking $125,000 on a fixed funding campaign, and they are currently closing in on $200,000. If you want to get in line for an Atlas tracker, the minimum reward level is $159, but delivery isn't planned until December 2014. Merry Christmas?